Teeth whitening is one of the most desired dental treatments, and when it comes to dental treatments, teeth whitening in Toronto is more common than ever. We are living in a teeth whitening age, with more options than ever before. 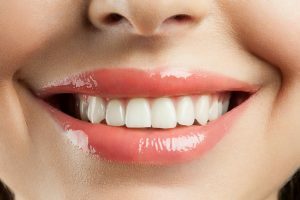 More people are opting for a variety of different treatments that can brighten their smiles and return their teeth to a natural, white shade. While discoloured, yellowed, or dull teeth are not a major medical problem, they can have a big impact on your appearance. Having yellow or discoloured teeth is seen as unattractive in our society, as well as a sign of poor hygiene. Many people feel self-conscious or uncomfortable about the colour of their teeth, which is why they seek dental teeth whitening. If you want to have your teeth whitened, what treatment options are available? The reality is that there are a variety of different teeth whitening procedures and treatments, all of which claim to improve the look of smiles. Teeth whitening cost, procedure, and effectiveness can vary wildly between these different treatments. Generally, there are three different types of teeth whitening treatments available. The first type are over-the-counter (OTC) teeth whitening treatments, which can be purchased from pharmacies, drug stores, or online retailers. While these treatments are typically the most affordable, they are also often the least effective. Next, take-home teeth whitening treatments are given by your dentist but are used at home. These often have a moderate cost but return much better results than an OTC product. Dentists have access to more advanced treatments that are not available to the public. These treatments can also be customized specifically for your use. Finally, the third type of teeth whitening treatment is a procedure performed in-office by a dental professional. While these are the most expensive option out of the three, they also are the most effective treatment by far. With an in-office procedure, you can have the whitest, brightest, most natural-looking smile possible. Here are some of the most common teeth whitening types. With this procedure, your dentist will whiten your teeth in-office. For this procedure, dentists are allowed to use a much stronger, more effective whitening gel, which will result in a brighter, whiter smile than available with other treatments. Some dentists will also use lasers to enhance the effects of your teeth whitening. This type of treatment is perfect for discoloured or yellowed teeth. If you have very minor discolouration, then you may opt for teeth whitening toothpastes. These inexpensive toothpastes can be purchased in stores. They do not bleach your teeth, but they can whiten your teeth by up to one shade, though they may need to be used over a long period of time for any effect. Whitening gels are available over the counter, and different gels have different degrees of effectiveness. Gels have to be applied each day and can take a couple weeks for results. Dentists can offer more advanced gels than those which are available for purchase in stores. These rinses are mouthwash with peroxide added in, which is supposed to whiten teeth. These are the least effective option, as they are only used for a minute or so while you rinse your mouth. This does not allow enough time for effective whitening. However, using these rinses with another treatment won’t hurt. Dentists can create custom trays for your mouth, which are used nightly for a few hours with a teeth whitening gel. These are typically more effective than OTC gels, although they can take a few days to a couple weeks for noticeable results. The most popular OTC treatment is teeth whitening strips. These strips are applied to your teeth regularly, brightening them by up to a few shades. Among over-the-counter treatments, strips are believed to be the most effective option. Princeview Dental is an established dental clinic in Etobicoke, providing routine, emergency, and cosmetic dentistry services. We offer a range of effective teeth whitening treatments that can brighten your smile, improve the look of your teeth, and give you a natural-looking smile that you can be proud to show off. Our in-office bleaching can provide the greatest results for yellowed or discoloured teeth. We also offer custom take-home trays that can be designed specifically for your use, providing better results than over-the-counter brands. For more information, please call us today at (416) 231-4562.